The Nine Network has announced 1 October as the launch date for its new channel, Your Money. 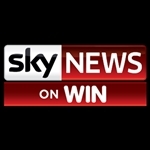 Presented from Sydney as a joint venture with Australian News Channel (operator of Sky News), Your Money will broadcast on Nine’s channel 95, replacing infomercial channel Extra, and Foxtel channel 601. 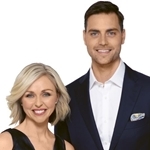 Your Money will feature business journalists Ticky Fullerton, James Daggar-Nickson, Ingrid Willinge, Leo Shanahan, Leanne Jones and Adam Creighton with real estate presenters Sophie Hull and James Treble. Your Money will include Your Money Live, a business program airing live each weeknight from 6pm to 8.30pm, hosted by Brooke Corte and Chris Kohler (pictured), followed by specialist finance programs from 8.30pm. As well as broadcast via Nine and Foxtel, Your Money will be available online at Foxtel Now, 9Now and at yourmoney.com.au. Thanks for letting me know. Rupert spreading his slim via free to air. Of course, I don’t HAVE to view it for the moment, at least.